Religion: Sri Lanka is predominantly a Buddhist country with over 70% of its population identifying as Buddhist. Hinduism and Islam are close, representing 13% and 10% of the population respectively, and Christians make up the remaining 7%. Buddhism plays a big role in the country’s culture and its importance is visible everywhere – from art to architecture. We made a trip to the big Buddha temple in Colombo and later visited the Temple of the Sacred Tooth Relic in Kandy and both are spectacular. Still, it was beautiful to see that smaller Buddhist temples are often flanked by a Hindu temple on one side and a mosque on the other. It really feels like Sri Lanka is very tolerant and accepting of all faiths. Food: Sri Lankan food is simply glorious and it shocks me that it’s still relatively unknown in the Western World. Rice features heavily, as do spices and coconut, but it’s all a little unique and clever. One of my favourites is the “hopper”. Made from fermented rice flour and coconut milk, hoppers look like small bowls or baskets that you can fill with sambol, eggs, curry – whatever you fancy really. There are also “string hoppers” which look a little like spaghetti, fashioned into round placemats. Simply divine! Seafood is big in Colombo and “kottu”, a street food comprising chopped up roti, vegetables and often chicken in a kind of stir fry, is a mainstay. I hear kottu is fast popping up on menus in Toronto and New York. Tropical Fruit: Sri Lanka also does an amazing job with fruit and you’ll see ramshackle stalls selling fresh finds pretty much everywhere you go. Aside from papaya, king coconut and bananas, there’s guava, sour sop, custard apple, wood apple, pineapple, watermelon and star fruit. One of the more interesting things I found was jackfruit and breadfruit. I’ve seen jackfruit in India and never been a fan, but breadfruit – never heard of it! It turns out to be popular as a curry and could pass for potatoes. Rain: It rains a LOT in the hill country. Not just in terms of frequency (often all day) but in sheer volume. This is not the lame duck rain of the British Isles, it’s the roof battering, window smattering kind of relentless rain that will rouse you from a good night’s sleep. It also means there’s a lot of mist and fog. I’m not complaining because I like rain (but OK maybe I am a bit). Ivory: There’s an awful lot of ivory in Sri Lanka. Massive tusks adorn Buddhist temples and flank the entrance to every shrine. Ivory sculptures and figurines litter holy places. I’m sure (I hope) much of this pre-dates the ban on ivory but it’s still disturbing to see something so obviously cruel being celebrated so widely. We talked to one of the guides about this and he said the government has recently cracked down as part of an agreement with SAARC and that there are plans to burn crates of ivory recently confiscated from poachers. 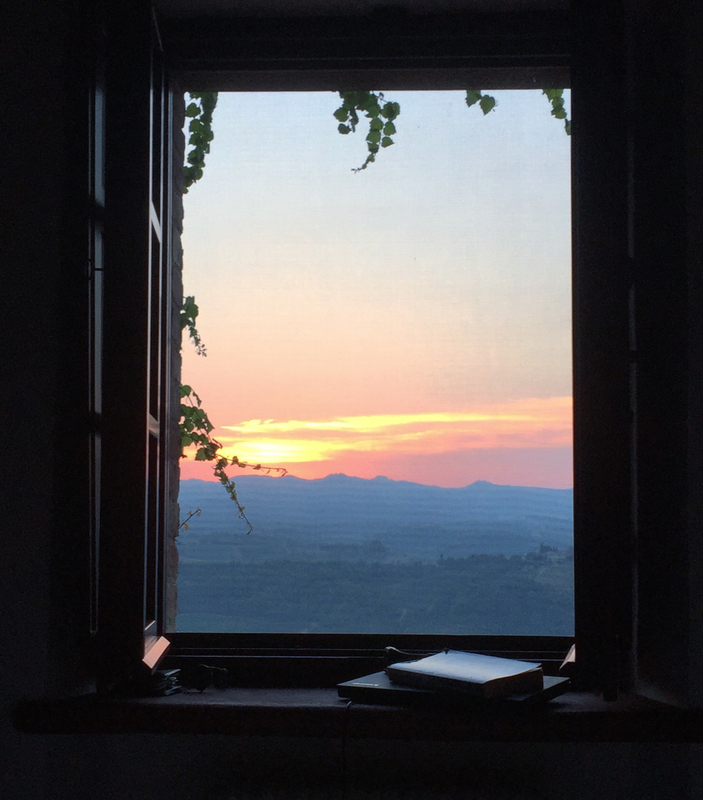 It’s our second morning (third day) in Tuscany and I popped out of bed at 6am, hoping to catch another spectacular sunrise. Instead, I woke up to this. Tuscan mist. Wispy, eerie, magical. It blankets the hills and casts an other worldly air over the valley. 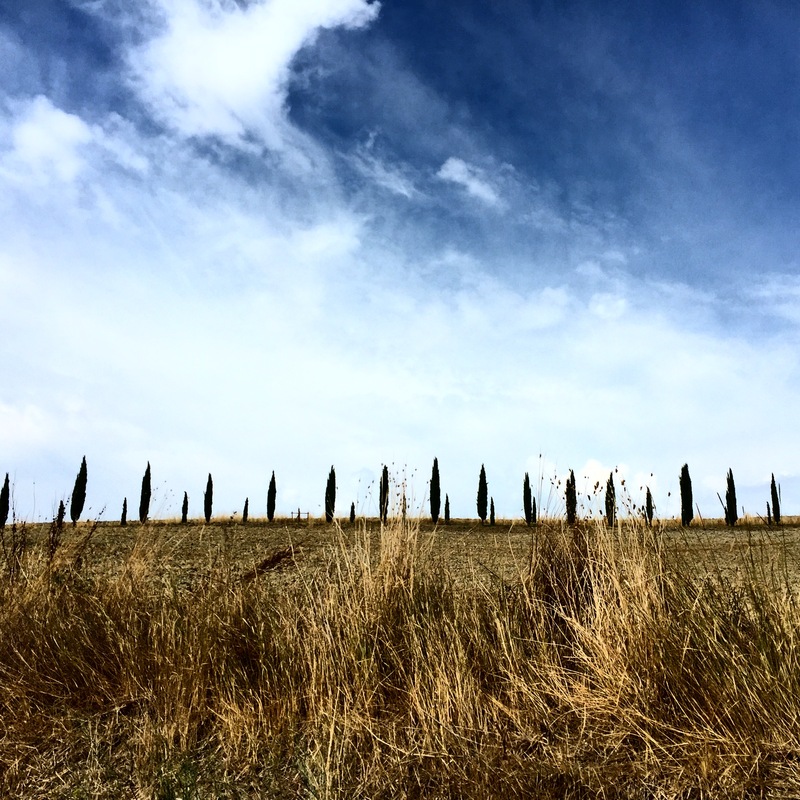 Like the rows of perfectly coiffed Cypress trees, this is another of those iconic Tuscan scenes. Photographers travel far and wide to capture Tuscan mist so I was more than happy to wander the hotel grounds for a good hour soaking it in and watching it move and shift. I’m now very grateful for the relentless downpour that started at 4pm yesterday. If rain means mist, bring it on! 1. Medieval Towns: One of my favourite things about Tuscany so far, is exploring its picture-postcard hilltop towns. 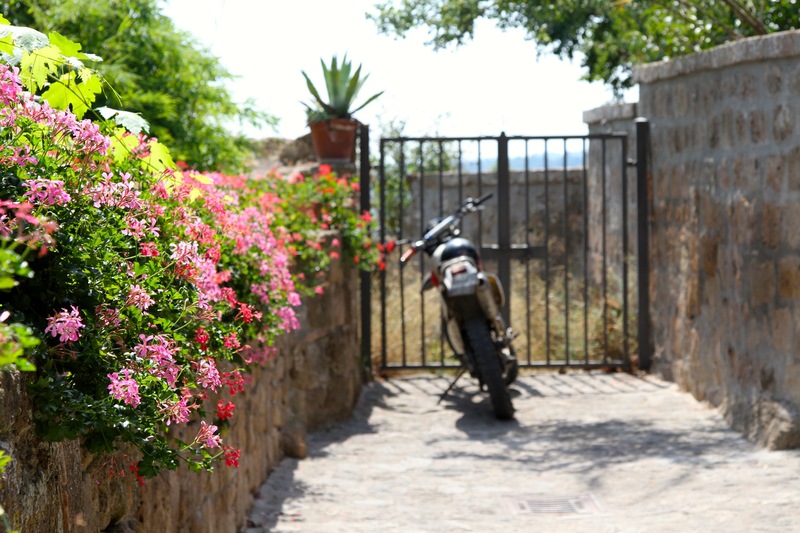 Almost all are surrounded by high stone walls and most boast gorgeous views of the rolling Tuscan hills, olive groves and geometric vineyards. Walking around their tiny, cobblestone streets and higgledy piggledy houses, I can’t help but feel like I’ve been transported back in time. We visited Casole d’Elsa, Volterra and San Gimignano today. The former is small and sleepy with some picturesque views while the latter two turned out to be popular spots on the tourist trail and were bustling with activity. 2. Il Colombaio: We had lunch today at Il Colombaio, just outside the town walls of Casole d’Elsa. Don’t be fooled by the random location and the nondescript exterior – the food is excellent (and they have a Michelin star to prove it). Tuscan cuisine is renowned throughout Italy and the region is blessed with plentiful fish and seafood as well as lamb, game and even wild boar. If you’re looking for a modern twist on the classics, definitely check out Il Colombaio. 3. The Roman Theatre at Volterra: A number of people had recommended visiting Volterra but we arrived to find hordes of people milling outside the city walls. Inside, it was so crowded, it was hard to move. As it turned out, Volterra was hosting a renaissance fair and families had travelled from all over Italy to attend. Luckily, the area also boasts an impressive Roman Theatre just outside the town walls, so we contented ourselves with exploring that instead. 4. Panforte and Aperol Spritz: If I could go back and visit only one town in Tuscany, it would probably be San Gimignano. It’s popular and busy, but for good reason. We stopped at a tiny hole-in-the wall to sample some panforte and ended up sitting outside for a good hour, sipping Aperol Spritz and watching the crowds go by. Despite, the region’s wine fame, the Spritz may be Tuscany’s signature drink. On any given afternoon, you’ll see at least a few of these bright orange glasses on every table. It’s the perfect refresher for the dry summer heat. 5. Gelateria Dondoli: My final favourite for the day is a gelato shop, which also happens to be in San Gimignano. Sergio Dondoli has been running the place forever and has won the ice cream world championships twice (yes, there’s a world championship for ice cream). I’m usually not a huge ice cream fan, but when in Italy…well, actually it came down to the fact that Dondoli is kind of a big deal. The lines outside his shop were insane and he was coming out and personally chatting to every person waiting. When we told him we were from Sydney, his reaction was epic. Of course he’s been there! He’s consulted for Messina, no less… but that’s not his favourite gelato place 😉 Picking the flavour was the hardest part and in the end we went for coconut, lime and his signature watermelon and fig. Delicious! A man who loves what he does! Every day is a dessert day when you’re in Italy! Jet lag woke me up absurdly early this morning and I figured I’d make the most of it and fit in a workout and some writing. Luckily I was rewarded with this gorgeous sunrise. Our first stop today was Poggio Antico, a vineyard and restaurant in Montalcino. About 60km south of our hotel, Montalcino is home to the famous Brunello di Montalcino, one of Italy’s most revered wines. Montalcino has one of the warmest and driest climates in Tuscany and, at 450m above sea level, Poggio (literally “knoll”) is one of the highest altitude producers. 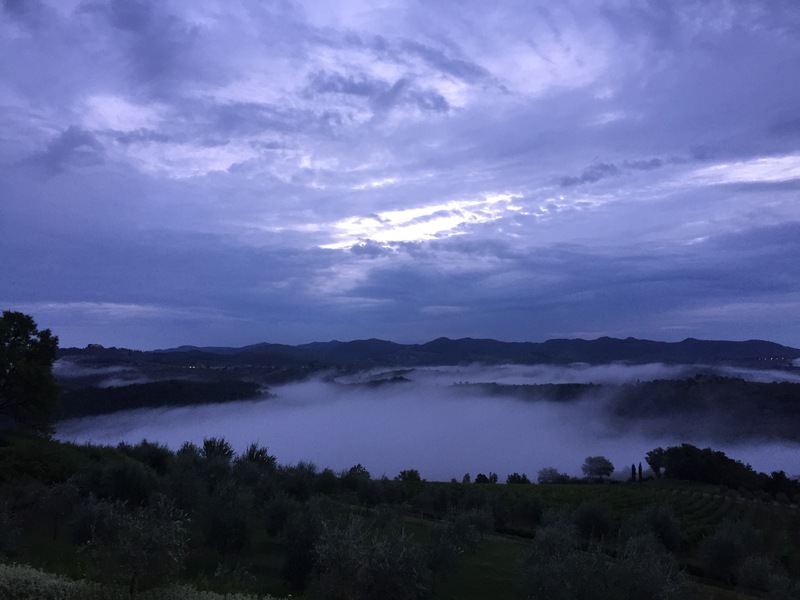 Over the course of an hour, we learned how the unique soil conditions (volcanic, rocky) and location (high altitude, flanked by the coast on the East and Amiata Mountains on the West) give Poggio wines their particular character. In order to be called a “Brunello”, wine from the Montalcino region must meet a laundry list of requirements as stipulated by the DOC and DOCG including being made from 100% Sangiovese grapes, containing 12.5% alcohol and a minimum of 2 years ageing in wood and 4 months in bottle. I’m a huge fan of Brunello (as is most of the US apparently — 1 in 3 bottles are sold in America) and it’s always reminded me of French Pinot Noirs. Both are smooth and easy drinking but Brunellos are heavier and have those characteristic tannins. After the tour and tasting, we had lunch at Poggio, all of which I’d highly recommend. You need to book ahead for the tour and they’ll only take groups of up to eight at a time. Originally from Syria, this evergreen tree was once believed to have supernatural powers, leading the Etruscans to plant it around their burial grounds. Today, it’s hard to think of Tuscany without it — it flanks driveways, demarcates roads and cuts a clean line against the sky on hills and mountains. Tall, elegant and vertical, Cypress trees also impart a distinctive fragrance to the Tuscan air, I can’t get enough of them! The first time we spotted one of these, we had to stop the car and get out for a mandatory frolic. Seeing hundreds of these tall, golden flowers with their heads tilted towards the sun makes for a spectacular sight. They’re past their peak but they’re still gorgeous, and they’re everywhere. Remember how I was complaining about the heat? Well it rained today. A lot. Fortunately, it’s not the torrential sort of rain we get in Sydney (or New York for that matter); it’s more of a British drip: docile yet persistent. The storm clouds started forming this afternoon and by 3pm it was coming down hard. It’s a welcome respite though; just today someone told us how the week before we arrived, temperatures were in the early 40s! After lunch we headed 45 minutes East to Montepulciano to sample some delicious Vino Nobile. Montepulciano is another hilltop renaissance town boasting gorgeous views of red-roofed houses, rolling hills, olive groves and of course vineyards. We climbed to the top of Palazzo Communale for some even better views. At the beginning of this year, I attempted to capture our 11 day trip to Japan in a daily travel journal. I think I published maybe three blog posts and ended up with a folder of half complete musings. This time, I’m going to do better because these posts will be short (I’m limiting myself to an hour writing each day), not-every-day (although if they are, that’s OK) and will capture 5 observations from the day that passed. It’s my first time in Italy in 7 years. How did that happen? Italy is one of those countries, like France, that always feels familiar. The espresso, the pasta, the pastries…Italian culture has permeated the world, and its presence is felt no stronger than in Sydney, where the coffee culture, delicious bakeries and creative Italian cuisine is delightfully authentic. We landed in Rome in the wee hours. It’s one heck of a flight through Dubai, with more than 20 hours in the air, but the bright sunlight and sheer excitement wiped the sleep from our eyes. After collecting our Europcar rental, a Fiat of course, we headed straight out on our 250km journey to Tuscany. The plan was to grab a bite and stop at a couple of the towns along the way before heading towards Siena. We’re pretty good at road trips and we’ve recently taken to seizing any opportunity to be in a car to listening to a podcast. Usually, it’s something about tech, occasionally its from the Moth or the New Yorker. Today it was about startups. And so, with Jason Calacanis gushing about the soon-to-be-extinct Zirtual as background music, we made good time to Bagnoregio. 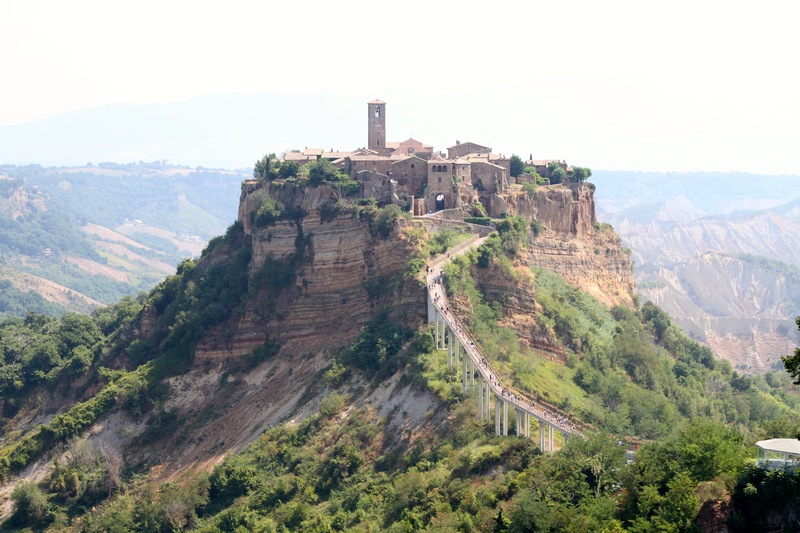 Civita di Bagnoregio is a medieval town about 150km north of Rome. It was founded more than 2500 years ago as an Etruscan settlement and sits atop a mountain that is slowly eroding. It was, in a word, breathtaking. Like so much in this part of the world, Bagnoregio feels like a perfectly preserved postcard from Roman times. A paved footbridge connects it to “the modern world” and the view from the approach, set against bare ridges, cuts a dramatic scene. With the sun out in all its mediterranean glory, temperatures had soared to the mid thirties and the 8,000 step round trip was punishing. We stopped on our way back for a refreshing granita and took every opportunity to bask in the shade. By the time we got to Siena, it was 3pm. We stopped for a quick (late) lunch in town and then drove an additional 20 minutes North to our hotel. Hotel Le Fontanelle sits on a functioning vineyard set against the gorgeous Chianti Hills. Tucked away, tranquil and yet perfectly executed, it’s a beautiful escape and feels unlike anywhere I’ve ever stayed in Italy. By dinner time, temperatures had finally eased and we were able to sit outside and soak in the beauty of the scene…and eat and drink far too much. Our meals came with Cloche platters! Here are my five observations from day 1. 1. So far, Tuscany feels a lot like French wine country: Provence, Burgundy, Alsace. I suppose all wine country shares characteristics but the rolling hills, winding roads and historic townships combine to create something uniquely old world. 2. Speaking of dry sun, did I mention how hot it is? It’s hot as. Coming from the Australian Spring, we’ve been caught by surprise. The Tuscan sun can certainly hold its own. 3. Italian, the language, is just as beautiful as I remember. I studied French for several years and can rattle off some survival Spanish but I can’t claim to speak much Italian. All I know is it’s music to my ears. 4. People drive fast. Like really fast. And unlike Australia and much of Northern Europe and Switzerland, there’s little concern for speed cameras. We were clocking in at 100kph on the highway from Rome to Siena and were constantly being overtaken. Oh the narrow, winding country roads? The Italians are zooming there too. 5. This one’s a little random but I thought it was really interesting: there are a ton of tour buses with tourists from Mainland China. It might just be the airport and the towns we’ve seen so far, but I thought this was a big shift from the last time I was in Italy. We’ll see if it’s true in the smaller towns as well.